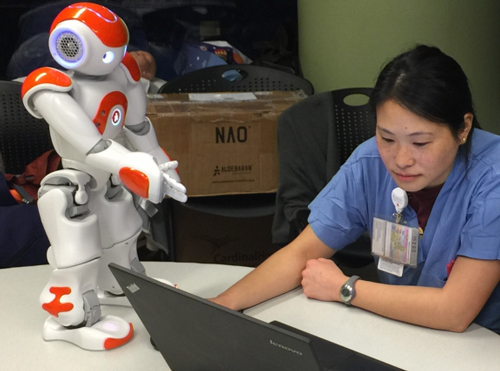 MIT researchers trained an altered Nao robotto learn the ins and outs of room scheduling in a labor ward at Beth Israel Deaconess Medical Center in Boston. Nurses accepted the robot's good recommendations 90% of the time and rejected consciously bad advice, enabling the robot to distinguish between good and bad recommendations and learn accordingly. That's no small feat when one considers how labor ward nurses are trying to predict when a woman will arrive in labor, length of labor, and whether C-sections or other procedures will be required.